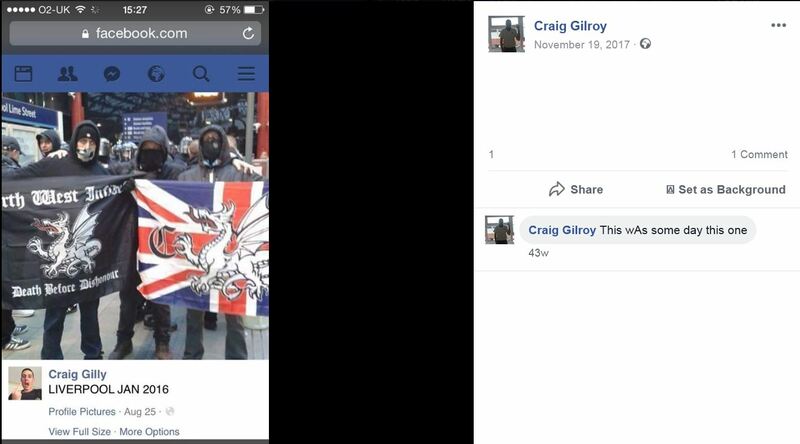 A Wigan man jailed for threatening shop staff with a weapon is also a notorious local far-right leader, it emerged today. 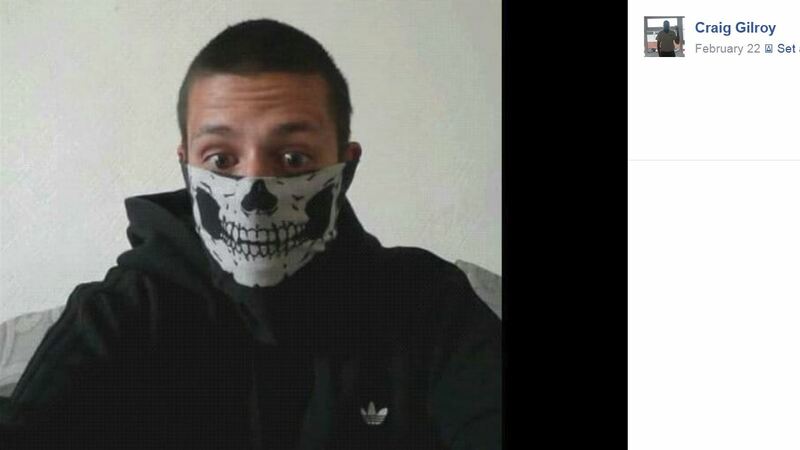 Anti-extremism organisations and politicians reacted with relief to the news Daniel Lewis, of Wigan Lane, is now behind bars. Vile social media posts highlighted online show Lewis making comments about the Holocaust which are too offensive to print, appearing at racist hate events and posing with flags bearing swastikas. 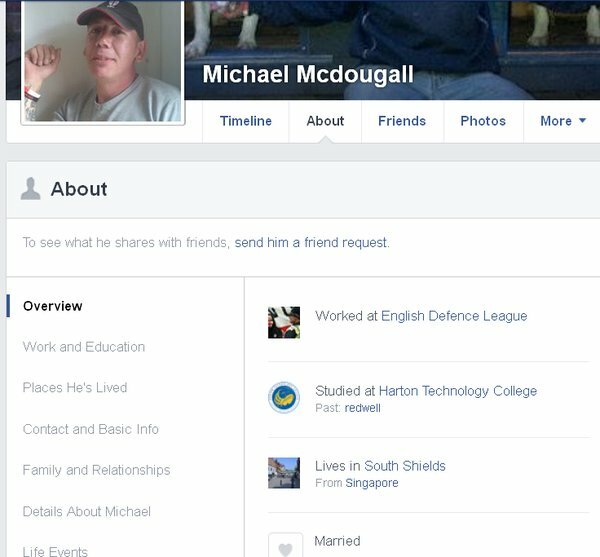 The 31-year-old, who is the Wigan leader of extreme far-right group the National Front and has links to the infamous North West Infidels, has also previously been unmasked by anti-racism campaigning organisation Hope Not Hate as a Holocaust denier. 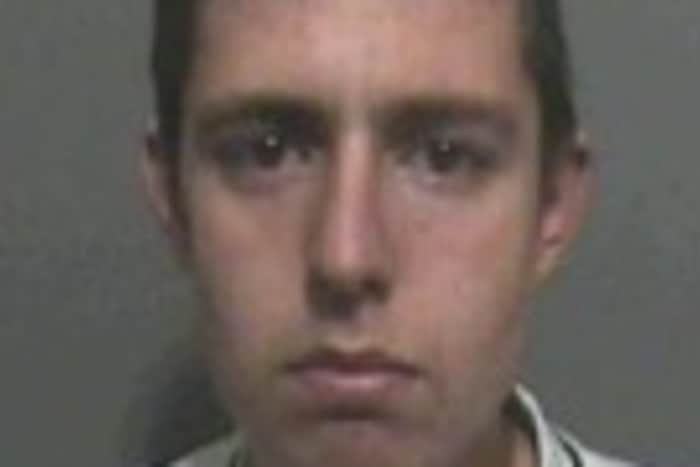 Lewis was finally put behind bars for four and a half years last Thursday following an incident in which he and another man wore balaclavas and brandished an axe and a claw hammer as they demanded terrified staff at the Tesco store on Gidlow Lane open the tills to give them money. 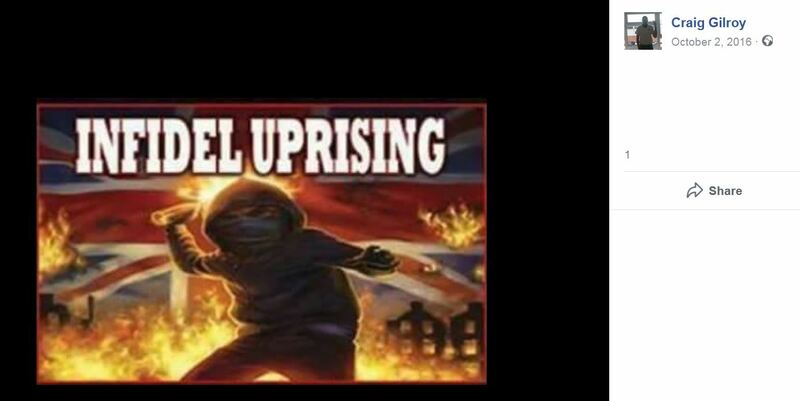 Hope Not Hate today said Lewis being put in prison would be a massive relief to those in Wigan and elsewhere he has previously targeted for hatred. The organisation’s head of research Matthew Collins said: “He is absolutely feral. He was out of control and had been for quite a while. “It wasn’t just going out and robbing shops, he was a persistent danger to women in Wigan. He stalked and attacked Labour Party members and the police were called on a number of occasions. “He was involved with the National Front, he was the organiser for them in Wigan and one of a number of organisers across the North West. “He was also aligned to the North West Infidels, who have particularly made a name for themselves intimidating women. 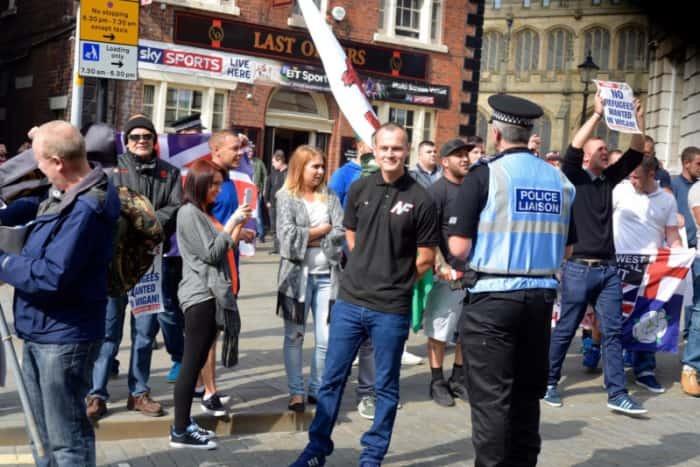 Wigan MP Lisa Nandy, who has herself been targeted for sickening abuse by Lewis, called for more funding to be given to crack down on the far-right’s activities. 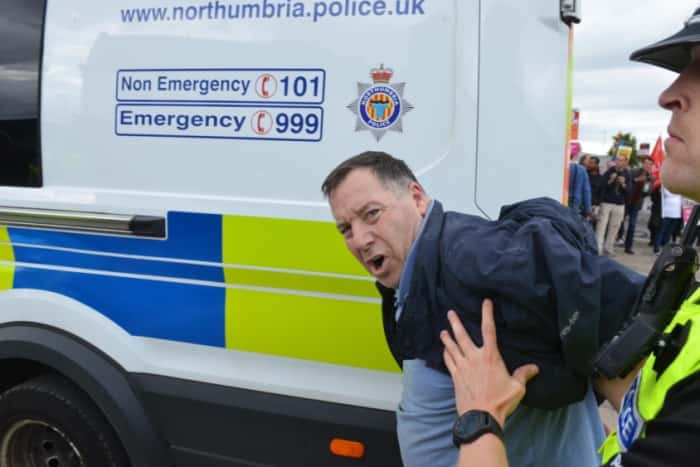 Ms Nandy said: “The vital work that Hope Not Hate and the police do to keep the public safe from these violent individuals should be commended. As news broke of Lewis’ jail sentence further details about his trail of appalling comments and actions came to light once more. That included calling for violent actions against gay people, carrying out acts of harassment against people in Wigan and involvement in campaigns making horrific threats towards asylum seekers and refugees. Hope Not Hate also previously reported on disgusting Facebook comments and photographs on Lewis’ account showing him smirking at the Auschwitz-Birkenau concentration camp while the accompanying comments mocked Holocaust victims and denied the genocide. 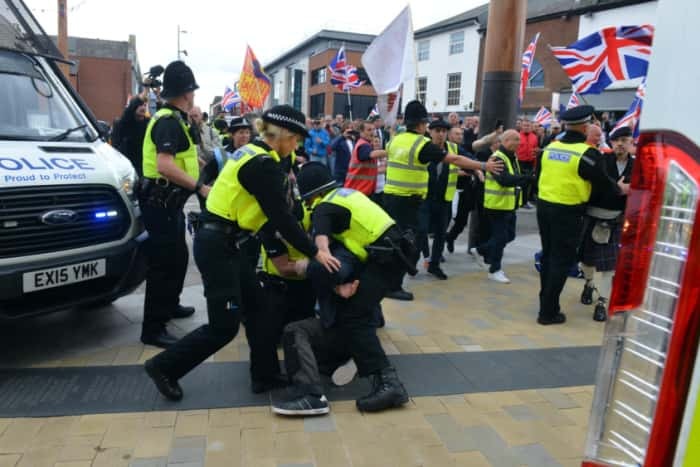 Photographs were shared of Lewis playing a prominent role in a National Front demo in Wigan town centre in 2015 in which extremists, some of them giving Nazi salutes, clashed with a large counter-protest and police. The NF attempted to hold a similar anti-immigration event in the borough in 2016 but it was called off at the last minute. The law caught up with Lewis following the violent incident on May 10 this year, in which he and his co-offender emptied large amounts of cash, alcohol and cigarettes before driving off. Responding to last week’s sentencing, Detective Sergeant Nigel Rigby of GMP’s Wigan borough said: “These men didn’t just demand money, they held an axe to an innocent woman’s throat as they made their threats.